The "Love is War" song composed by ryo, produced by supercell and featuring illustrations by Shirou Miwa was released back on the 22nd February 2008, and to celebrate the 10th anniversary of the song's release Good Smile is rereleasing this deluxe version figure based on the song! 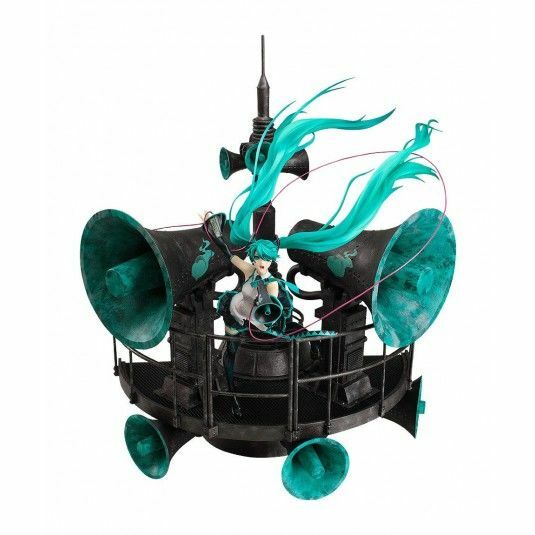 Her long hair has been sculpted in a dynamic pose as it flows up and behind her, with her skirt also flying up in the wind as she holds a megaphone in hand and leans over the edge of a railing, shouting out her love! It's a beautiful and dynamic pose that captures Shirou Miwa's original illustration in exquisite detail! The deluxe version also includes the giant speaker stand for the complete Love is War experience! Make sure you don't miss out!